Knowing a personal injury lawyer in Houston, TX is important because accidents happen in public or in your workplace. If you suffer from injuries due to an accident, you have to face medical expenses to overcome the ordeal. With the assistance of a personal injury lawyer in Houston, TX, you can file for a settlement. You deserve to be compensated, especially if the personal accident is caused by the negligence of another individual or company. Through the efforts of your personal injury lawyer in Houston, TX, you may have a better chance of receiving just compensation. 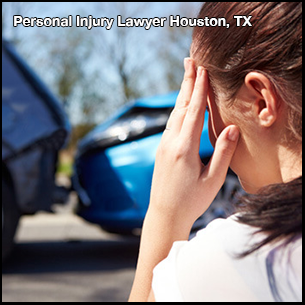 You may also end up avoiding a trial if you have a good personal injury lawyer in Houston, TX. Consider the track record of the personal injury lawyer in Houston, TX before hiring one. You may get recommendations for a personal injury lawyer in Houston, TX from friends, family, or even lawyers focusing on another field. You may also do a cross-check of review sites and the website of the personal injury lawyer in Houston, TX to learn more about the attorney’s reputation. Over the years, Camberg Law Firm’s personal injury lawyer in Houston, TX has helped clients recover millions of dollars in compensation from a range of cases that include vehicular accidents, construction accidents, nursing home neglect and abuse, as well as medical malpractice. If you are recovering from an injury, you will not have the time or energy to handle the legal paperwork. Save yourself from the additional stress and leave all the work to your personal injury lawyer in Houston, TX, who has the experience to address your issue. Your personal injury lawyer in Houston, TX will review all documents related to your case on your behalf, from medical records and police files to insurance policies. The pain and anger you feel after being injured may cloud your judgment. Worse, you may end up making impulsive decisions like accepting a settlement amount that is less than what you deserve. A personal injury lawyer in Houston, TX can provide you with a more objective view of your situation since the attorney has no personal involvement with the case. A personal injury lawyer in Houston, TX can also provide the best recommendations for your case. If you have been suffering from an injury, accident, or abuse for years, there’s a personal injury lawyer in Houston, TX who will stand by your side. At Camberg Law Firm, your personal injury lawyer in Houston, TX can help you with the settlement process to make sure all guilty parties will be held liable. Contact our personal injury lawyer in Houston, TX to set up an appointment for a case evaluation. Initial consultations with our personal injury lawyer in Houston, TX are free. Our office will provide the backing our clients direly need. To learn more about the services of a personal injury lawyer, Houston, TX clients may visit our website today. When it comes to getting sound legal advice and seeking legal aid, you should only trust the established professionals to help with your injury. Camberg Law Firm is dedicated to providing professional yet personal legal injury services to every client in Houston, TX. We focus on personal injury, business/commercial, probate/guardianship, and dangerous drugs/device litigation in the Houston, TX community. Camberg Law Firm was founded by Attorney Roy Camberg, dedicated to providing professional legal advice to each client that contacts his local Texas firm. Roy Camberg was born in South Africa. He received his Bachelor’s Degree in Marketing from the University of Texas at Austin. Afterward, he obtained his Doctor of Jurisprudence at the University of Houston Law School. He finished at the top 20% at each institution. Prescription drugs and devices should bring relief to a patient, not an injury. If you are the victim of drug company irresponsibility, then you should immediately contact us to seek legal justice. Camberg Law Firm is committed to assisting patients who have suffered from defective prescription drugs and devices. In fact, apart from working hard to help you get the legal compensation you deserve, we will immediately investigate your case to prevent similar incidents from happening to anyone else. For example, patients who experienced excessive or uncontrollable bleeding, or even a heart attack, after taking a specific brand of medicine should immediately contact us so we can prevent any potential injuries to other users. For professional yet personal legal services, turn to Camberg Law Firm. Whether you were involved in a road accident or are the victim of medical malpractice, we will take the time to listen to your every need. You can call our local number 281-486-6900 or our toll-free number 800-922-9775 to schedule a free case evaluation.